These tiny caps prevent knitted stitches from slipping off. Ideal for use with straight or circular needles. For sizes 0 to 10.5 (2.0 to 6.5mm). Light and easy to use. 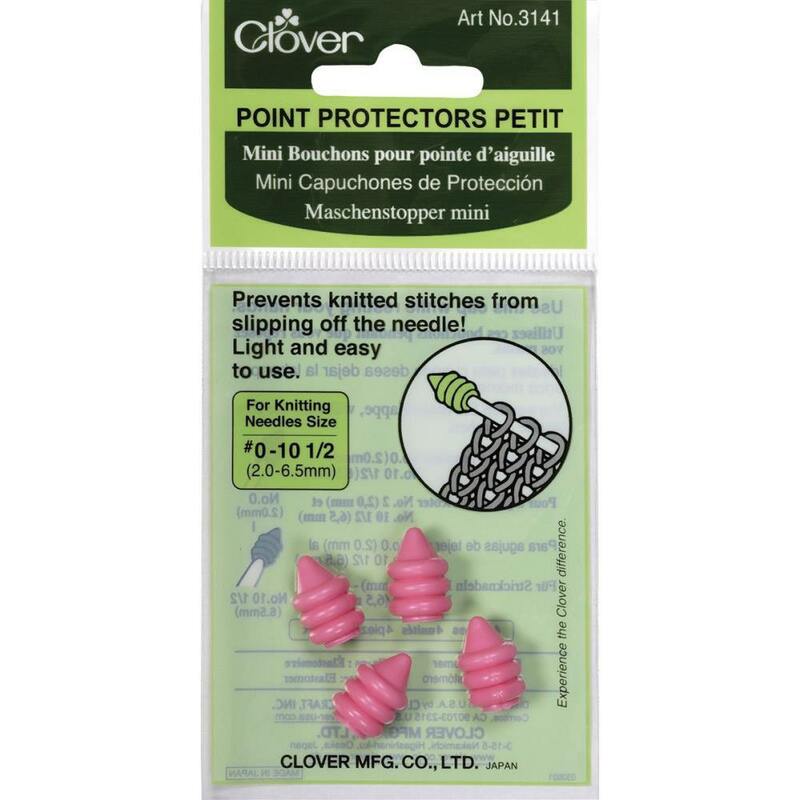 Set of 4 pink protectors. If you are also ordering longer knitting needles, these items will be shipped separately in a mailing tube to ensure their safe travels to you.